The Lugarde Prima Ruby summerhouse features the new glass sliding wall. 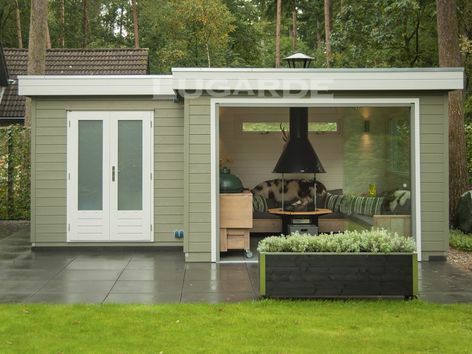 Enjoy your summerhouse all year round with this three metre sliding glass front. Floor to ceiling light but protection from wind and rain. 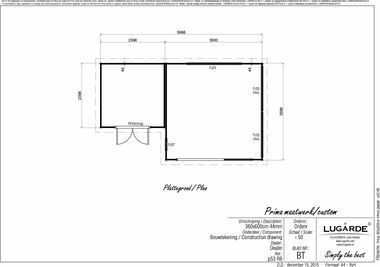 Overall summerhouse size 6m x 3.6m in 44 mm log thickness. The standard package includes 3 metre sliding glass wall, 1 x PE45H door with opaque glass, 2 x PJ25 windows, 1 x PJ23 window and 1 x PJ07 window.